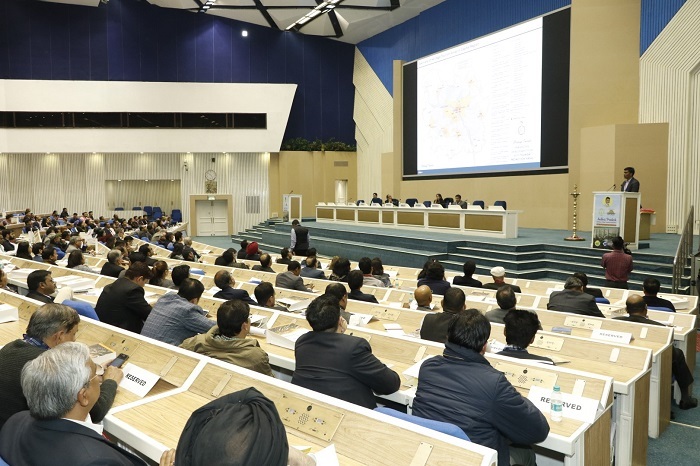 A workshop on “Andhra Pradesh: Building a Global Tourism Destination” was organised at Vigyan Bhawan, New Delhi by Centre for Strategy and Leadership (CSL) in association with Andhra Pradesh Capital Region Development Authority (APCRDA), Government of Andhra Pradesh. Andhra Pradesh Chief Minister Mr. Chandra Babu Naidu’s dream project, Amaravati is aimed to become a world class capital and a tourism hub. The Amaravati Tourism City is planned in proximity to the historic Undavalli caves along the river Krishna water front with the objective of boosting leisure, business, eco, health as well as religious tourism. APCRDA is the nodal agency which is developing the state’s new capital city of Amaravati. Mr. S. Shaanmohan, Additional Commissioner, IAS, APCRDA shared the vision of Andhra Pradesh Chief Minister Mr N. Chandrababu Naidu, of creating a Tourism city with world class facilities which at the core retains the culture, heritage and essence of Andhra Pradesh. “We are developing a Tourism City in Amaravati which will be built on the pillars of river front development, health and wellness, nature-based experiences, and, heritage and culture. Spread over 11,573 acres with an estimated population of 2.7 lakh, the Tourism city is expected to generate employment for more than 2.2 lakh people,” said Mr. S. Shaanmohan. Underlining the state government’s seriousness in engaging with genuine investors and calling for investments in Amaravati Tourism City, Ms. Bhavna Saxena, IPS, Special Commissioner, Economic Development Board, Government of Andhra Pradesh promised to extend full support to those interested in investing in the state. She shared opportunities featuring extensive river front-development for hotels, resorts, MICE (meetings, incentives, conferences and exhibitions) centres, theme parks, religious and cultural centres. Mr Suman Billa, IAS, Joint Secretary, Ministry of Tourism, Government of India talked about the potential in Andhra Pradesh’s Tourism sector. He also informed the audience that development work and focus on safety of visitors is at the core of building Andhra Pradesh as a global tourist destination. Mr Himanshu Shukla, IAS, Director Tourism, Government of Andhra Pradesh apprised the audience about a plethora of enchanting yet unexplored tourist destinations in Amaravati and rest of Andhra Pradesh. To promote MICE tourism in the state, he shared that the state government plans to develop Mega Convention Centres in Visakhapatnam, Tirupati and Vijayawada. “The state government has taken several progressive steps towards creating world class infrastructure such as further augmenting the rail and road network, adding more national highways along with a beach corridor. To attract more visitors, the state is working towards creating six tourist hubs – Visakhapatnam, Srisailam, Rajahmundry-Konaseema-Kakinada, Vijayawada-Amaravati, Tirupati and Ananthapur-Puttaparthi,” said Mr Shukla and invited investors to partner with the state. Speaking at the workshop, Mr Nakul Anand, Chairman, Federation of Associations in Indian Tourism and Hospitality (FAITH), and, Executive Director, ITC highlighted the opportunities in Amaravati for the Tourism industry and urged associates to visit Amaravati and also take advantage of the opportunities there. 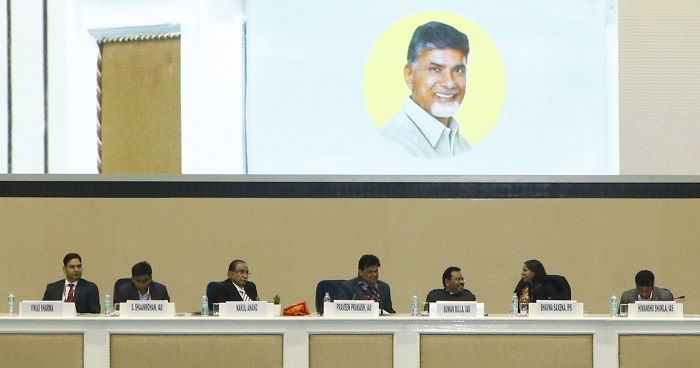 According to Centre for Strategy and Leadership’s Chief Executive and Director Vikas Sharma, “Amaravati, as well as the entire state of Andhra Pradesh has immense potential with good return on investments. This Tourism City and the state’s hospitality will be a thrilling and joyful experience for tourists with adventure, leisure and eco-tourism at the core.” He shared with the audience the experience of investors post recent investor meets and subsequent delegation visit to Amaravati and how progressive and welcoming the state is for visitors and investors. The workshop was attended by approximately 600+ senior representatives of hospitality and allied industries – hotels and restaurants; resorts, lodges and spas; airlines and cruise lines; tour, travel and vehicle rental agencies; amusement and theme parks; adventure tourism companies; start-ups; training institutes and skill development agencies; associations; architects and infrastructure developers; international agencies; diplomats; as well as print and electronic media.